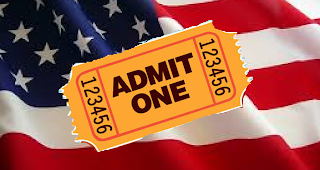 Discounts & Deals 4 Military: Free Tickets for Military! There are several opportunities for Military members to get free tickets to events during 2014. Here are several events we found! Free tickets to everything! Vettix gives more free tickets to Military then anybody else. Free admission to either SeaWorld®, Busch Gardens®, Adventure Island®, Water Country USA®, Sesame Place®, or Aquatica San Diego for military personnel and as many as three direct dependents. This is program will start up again in 2014! Free park admission during from November 4, 2013 through January 5, 2014. This offer is valid to all past and present armed forces personnel and one guest. Six additional tickets may be purchased at a discounted rate of $22 each from November 4-27 and for $27 from November 28-January 5. Are veterans and their spouses, widow/widowers included in the discount program on this page. Good question. It depends which one your are asking about. Which discount program above were you wondering about?